The Pumpkin Boat Race of Ludwigsburg Pumpkin Festival has people racing each other in hollowed out pumpkins, across Ludwigsburg Lake. 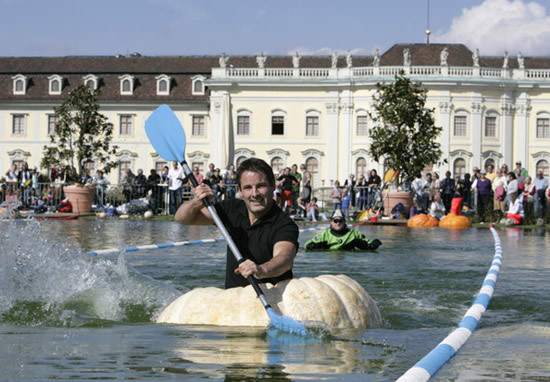 Known as the biggest pumpkin related event in the world, the Ludwigsburg Pumpkin Festival draws in pumpkin enthusiasts from all around the globe, every year. 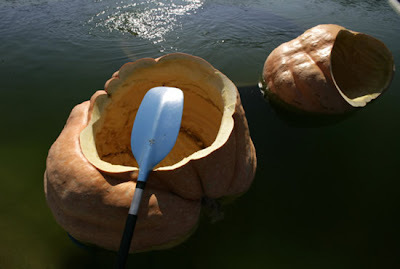 They travel to the small German town to see over 500,000 pumpkins, from 450 different varieties, arranged in all kinds of different shapes, from animals to abstract sculptures. One of the most eagerly awaited events of the Ludwigsburg Pumpkin Festival is the pumpkin boat race. 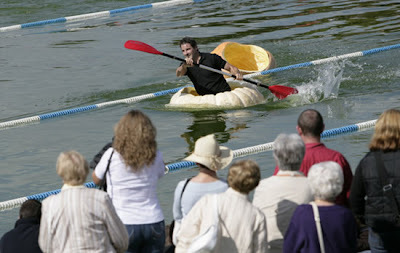 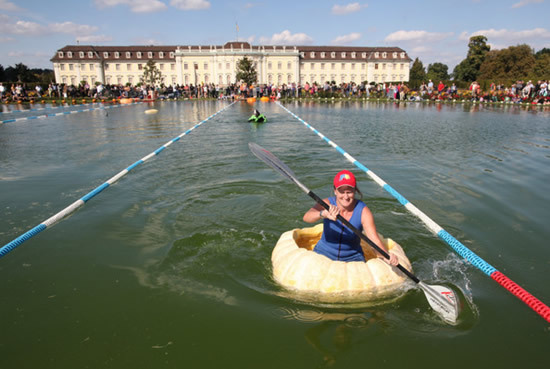 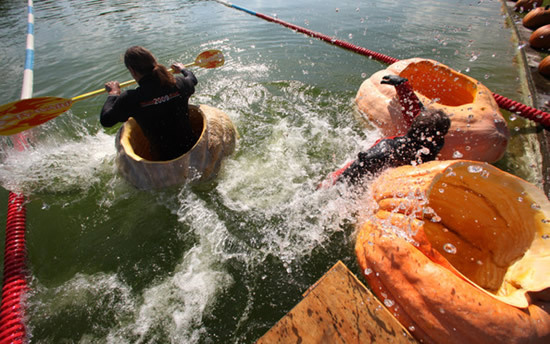 Giant pumpkins, some of them over 90 kg heavy, are hollowed out and launched onto Ludwigsburg Lake, and contestants have to paddle their way to the finish line, in the cheers of onlookers. 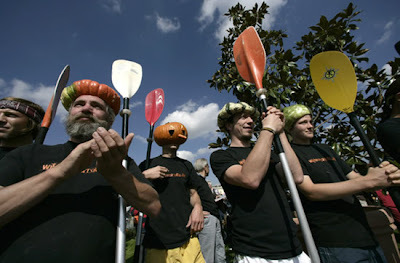 I’m not sure what the prize is for winning such a bizarre boat race, but I could swear it’s something related to pumpkins. 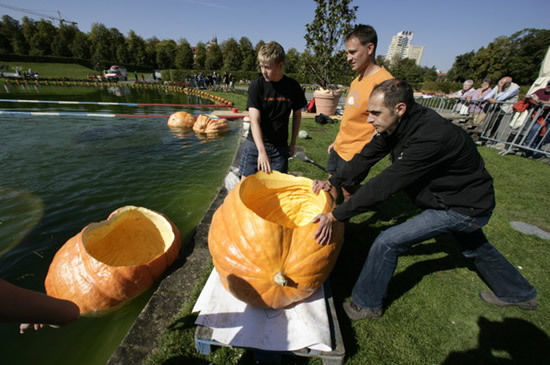 If you’re a pumpkin lover yourself, you’ll be happy to know the Ludwigsburg Pumpkin Festival continues until early November.